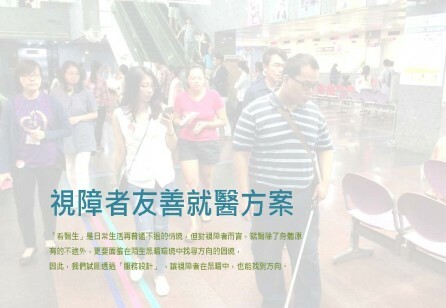 SDN Taiwan is committed to serve service design community in Taiwan by connecting practitioners, sharing knowledge, and co-creating value. 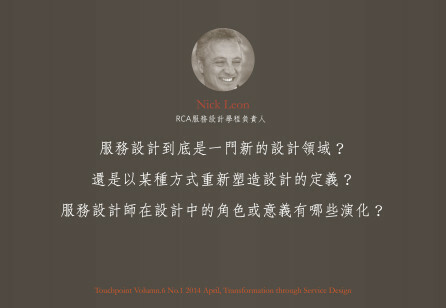 Currently, SDN Taiwan is promoting service design on talent development, organization implementation, and social impact. We also like to co-work with service design practitioners around Asia to develop Asia's service design practice. Hualien Mennonite Hospital, established in 1954, is an important health care resource in eastern Taiwan. Due to the regional development gap, most young people migrate out of Hualien. Thus patients today of Hualien Mennonite hospital are the elder, the physically challenged, and mothers with children, all of them are suffered from limited mobility. Therefore, Mennonite Hospital had collaborated with 5% Design Action and BenQ, together we designed a number of prototypes to improve the patient's overall experience. 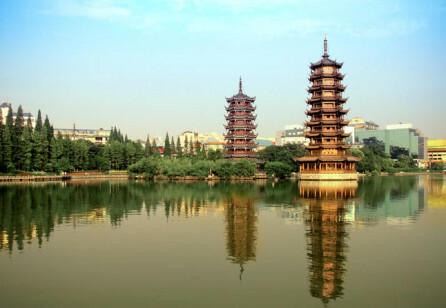 Taiwan has been actively involved in the international design circle in recent years, including the 2011 IDA Congress, World Design Expo and 2016 World Design Capital in Taipei. The growing trend has been also transforming the ‘Made-in-Taiwan’ (MIT) economy into a ‘Design-in-Taiwan’ (DIT) one. 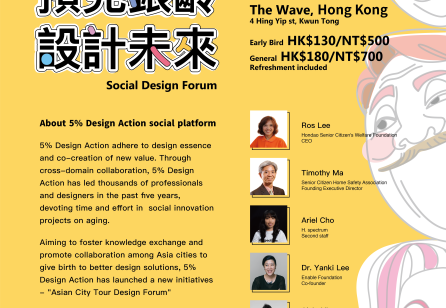 5% Design Action and SDN Taiwan cooperate to invite Prof. Lu from Department of Industrial Design, Eindhoven University of Technology, and Mr. Gavin, design director, from Philips to give Taiwanese young designers a speech about service design and to interact with them. The topic in this sharing event will focus on their practical experience in Netherlands and about using service design as a methodology when applying on projects. 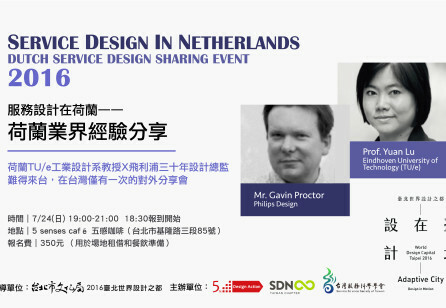 This event will be held on 2016/7/24 evening in a comfortable café along with food and drinks for participants to enjoy a great night and discuss about service design in Taiwan and Netherlands.